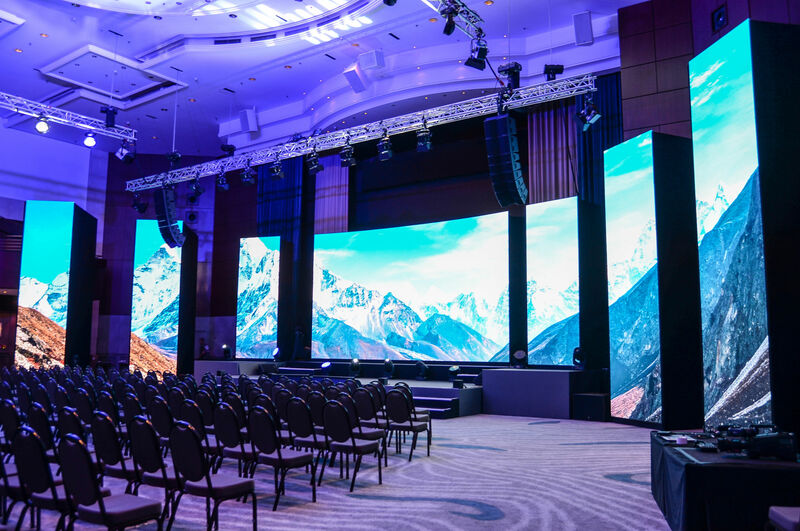 AV MEDIA was given the opportunity to provide audio‐visual aspect of the event due to the long-term cooperation with one of the biggest UK event agencies ‐ Banks Sadler. 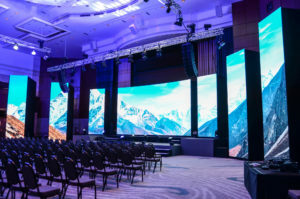 We introduced there a brand‐new specialty we used for a first time – seven separate LED walls in high final resolution of 4K which were connected to deliver modern and effective look to the presentation. As a part of our complete services client received sophisticated presentation template which was easy‐to‐fill by himself. The template covered all seven LED walls and the final resolution.